Dawuroo.com published that Hon. Kennedy Agyapong, Member of Parliament (MP) for Assin-Central, has promised to give GH¢5000 to five(5) veteran Highlife musicians. Namely, AB Crentsil, Nana Kwame Ampadu, Jewel Ackah, Obuoba J. A. Adofo and C. K. Mann. However, in a latest development to the issue, Kennedy Agyapong has denied promising to pay five renowned Ghanaian highlife musicians GH¢5,000 each every month. 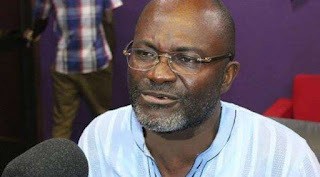 Kennedy Agyapong who made an appearance on Adom TV’s Morning Show “Badwam” programme, the politician said there was a miscommunication between him and Bice Osei Kuffour (Obour), MUSIGA President. To him, he promised to pay GH¢1,000 each to the renowned musicians, an amount which will total GH¢5,000 for the five musicians. “I think there was a miscommunication somewhere. I met Obour at Flagstaff House last night and told him my GH¢5,000 is ready but the issue is that I never promised to give each of them GH¢5,000,” he said.